Sustainably growing, cooking, and doing business. The past nine months have gone by so quickly it is hard to believe all that has happened. The events that have unfolded in just the past three have caused us to look back at everything that led us to this point and question many aspects of our life that had become an accepted part of our day-to-day routine, as well as long-term goals for the future. In recounting what started this avalanche of change, I am reminded of the decision we made to transition from purely researching methods of growing food in our small urban garden and step out to approach our LGU (local government unit) with ideas of starting community gardens--something we have wanted to do for a long time. This encounter led to the discovery of a ten-hectare piece of land to do a community project, which inspired me to learn the best way to grow food on a large scale with minimal labor and maintenance. All of this lead me to discover Geoff Lawton and his amazing projects, such as “Greening the Desert” in Jordan and his evolution of food forests. 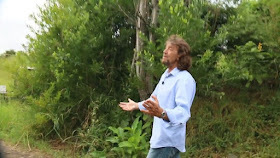 Finally, I uncovered what permaculture truly meant and this helped me to find and articulate a purpose in my life that finally made complete sense and offered actual solutions to the world’s seemingly insurmountable problems. 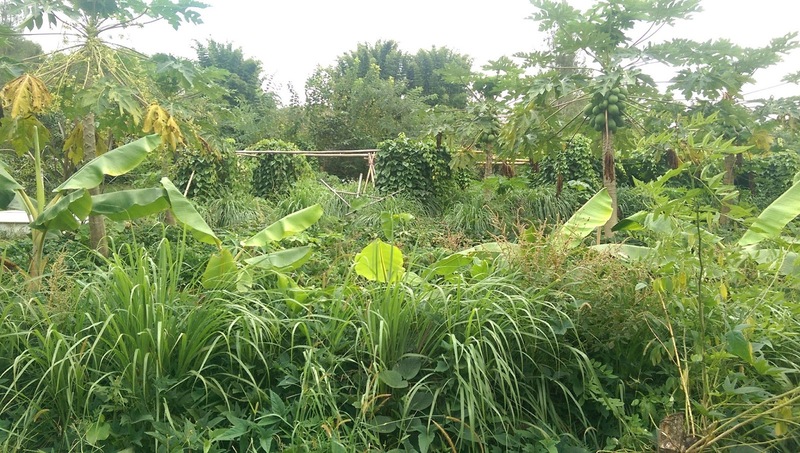 With this knowledge, a new mentor, a large project, and many ideas, I set out to learn all I could about implementing a large-scale permaculture project in our tropical island area. Unfortunately, as tends to happen here, the land wasn’t actually available and the project died before ever getting started. My obsession with permaculture, however, continued to grow and I knew I had to try again. I approached the Department of Agricultural with my idea and they told me about some government land I could use for a permaculture demonstration site. Around this time I noticed that there was an upcoming Permaculture Design Course at Zaytuna Farm, where I could learn from the best and get some accreditation to help make permaculture my profession. After looking into the logistics and getting some generous help from my mother, we were prepared to go to Australia so I could attend the April PDC and the Permaculture in Action course that followed to gain even more experience. 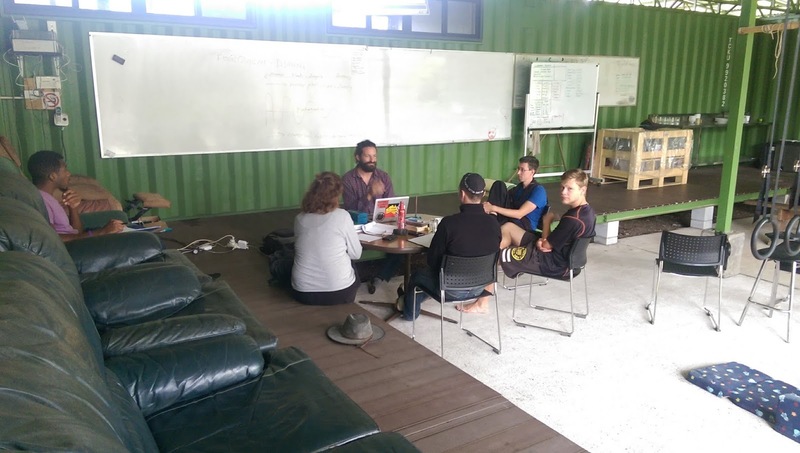 Fast-forward through a few months of hard work lining up permaculture projects, and gaining the prerequisite information I felt would improve my experience at the farm, and we were on our way to Australia. We first arrived in Sydney, where my wife and daughter stayed with family and I continued to Ballina, where I would meet up with a few other PDC attendees and ride over to Zaytuna Farm in the Channon. This trip represented a whole lot of firsts for me. It was my first time in Australia and, having lived most of life in a temperate climate and quite a few years in the tropics, I was very much intrigued by the subtropical landscape. 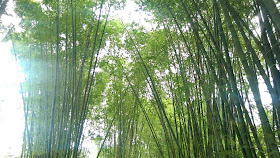 For me, seeing pines and deciduous trees lining the landscape reminded me of scenery from my childhood, but the occasional palm, banana tree, and other obviously tropical plant thrown in was quite peculiar. In additional to the landscape, this trip was the first time that I was properly studying something relating to a career that wasn’t online. I was going to take a course with real people and a real teacher. I would get a chance to live and breathe permaculture for three weeks with others just as passionate as I was, instead of doing all my research alone. This, more than anything else, led me to believe that this would be the trip of a lifetime. The final first that I experienced seemed insignificant initially but has had a much more profound impact on my life that I thought it would. Having grown up as a fairly ignorant and biased American, this was my first experience in a Muslim community. While I was there to learn permaculture and was happy to be a good guest, I was absolutely transformed by some fantastic encounters with Muslims there and learned so much about different cultures and mindsets in general. One woman in particular truly helped me open my mind and understand not just the differences but the similarities we shared and that has had a huge impact on me. When my family came to visit, the hospitality that Nadia and Geoff showed was overwhelming and made the experience even more amazing for me and something I know my family will remember as well. In addition to the many firsts, there was also the sense of community and the pure love of humanity that permeated the farm. People were coming from all over the world, of different ages, and with different goals and beliefs. We came together and by the start of the second week, we were more like a family than a random group of strangers. The bonds and connections that were created will last a lifetime and most of us are confident we will be working together in the future to further the permaculture cause. My only regret is that I wasn’t able to spend time with everyone, as I am sure, given the chance, I could have developed these bonds with even more of the group. But suffice to say those I did connect with have almost instantly become a part of my family. Now that I have tried to portray just how profound and life-changing the opportunity to attend the course and meet such beautiful people was, I suppose it’s a good time to talk about what I actually learned and experienced there. By far the best experience I had at Zaytuna was my interactions with the interns and the farm manager. They were all such incredible people, coming from such diverse backgrounds, and they helped me feel more at home than I have felt, well, ever. In large groups I tend to be a little shy and I don’t typically walk up to new people and introduce myself, but with the interns, I felt at ease and they made the first few days there feel welcoming while I was adjusting to so many things. The next experience that impacted me was the way the farm felt. Without leaning too far into the spiritual or metaphysical, I have to say that there was an energy that made me feel calm and content in a way that I find difficult to express. I arrived at a time of torrential rain and--by my tropical standards--very cold nights. I was sleeping in a tent and each night the water was coming closer to my camping ground. Despite this, I had some of the most restful and recharging sleep I have ever had. The peace and tranquility of the place lulled me to sleep in an almost hypnotic way. 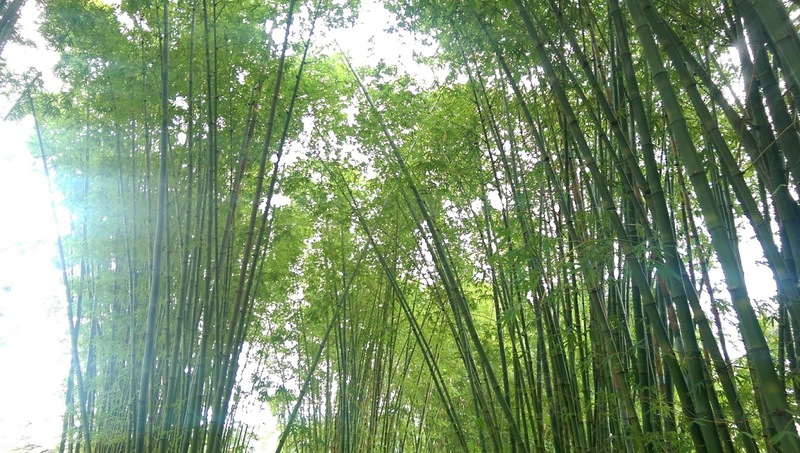 One premise of permaculture is being able to improve on nature, which if you have ever been to the heart of a forest or another mature natural system seems ludicrous. However, taking a tour of the property after the flooding rains, and walking through swales still full of water, under a canopy of selected support and production trees was surreal. Each step through the water led to the sweet fragrance of Singapore Daisy being released as they were crushed underfoot. The air was alive and charged with energy while being peaceful and completely in order. Despite the standing water, there were few pests and everywhere the sounds of birds and frogs echoed about--all on land that had been cattle pasture a little more than a decade ago. Looking at the hills surrounding the farm gave a good picture of what the land had been and the transformation is breathtaking. Next, my experience with the animal and plant systems of the farm was unreal. Not fully knowing what to expect, I had assumed that the farm was a permaculture paradise producing abundance in all areas and overflowing with anything you could ever want. A bit of time talking to the interns and some early morning exercise helping out on the main crop helped me understand the reality, and importance, of the way the farm was set up. Instead of being a demonstration site for the “perfect” system, it was a place where all strategies could be attempted and expanded on to help others understand what an ideal system for their land could look like. The systems were not static but were constantly tweaked, adjusted, and in many cases completely overhauled, all for the purpose of finding better ways to do produce. This constant change, in conjunction with the intern rotation system, affected output, surely, but also created a system to train project managers and not simply farm hands. The ingenuity of so complex a system of training is awe-inspiring and worth heaps more than just a yield-per-acre farm setup. I count myself lucky to have had the opportunity to witness the evolution of this system and talk to the interns who were fully immersed in it. In fact, I am hopeful that I too will be able to intern there and gain even more from these systems in the near future. The class time is the next experience that comes to mind. Before attending the course, I had read the Permaculture Designer’s Manual, on which the classes are based. I had also been given access to and watched as many of the online PDC videos as were made available. Even loaded with all of this information I found the class experience unique and exciting. 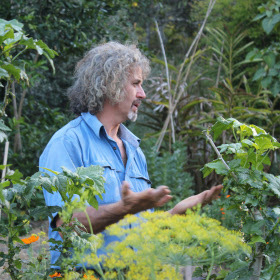 Tom, who came down from his PRI on the Sunshine Coast and co-taught with Geoff, gave a lot of solid information, along with his own experiences in biodynamic farming and permaculture. In addition, he told many stories that elicited emotions to help us remember the subject matter in a more real and intimate way. This teaching style is refreshing when compared to focusing on bare facts and neglecting the human element of learning and teaching. While I didn’t always appreciate what was happening during the classes, later reflection on what I had retained from the lessons taught reinforced the effectiveness of this teaching style and has me intrigued to experience this more and incorporate it into my own teaching style. Geoff, when he would speak, brought another level of teaching that I have never experienced. He already draws you in with his online videos and slams home the intricacies of permaculture in an extremely approachable way, but when he is speaking to you in person, it comes across more as a form of art than a lecture. The stories he tells, the way he makes you feel and not just understand the subject manner, and his ability to bring everything full-circle no matter how off-topic it seems are legendary. Despite being busy with his day-to-day work, filming for the online PDC, and keeping up with his other countless duties, Geoff still made time to talk to anyone who approached him in a one-on-one manner, which was amazing to experience and just as extraordinary to watch. I learned as much watching how he interacted with others as I did from the direct information I received, which is an invaluable experience that again I can only say I am honored to have had. The design project was also a once-in-a-lifetime opportunity. Presented as more of an assignment about people than about design, groups of eight were selected to design a house and permaculture site for areas of the property that are zoned for multiple occupancies. Working with eight people you barely know and coming together to form a single design in just three days is an enormous undertaking. While there were times when it seemed it would be impossible to get everything in place on time, each group pushed on and at the end of it produced some extremely well-designed house-and-site designs. Seeing how creative and thorough the groups could be speaks volumes of the efficiency of the teaching that we received and the talent of those involved in permaculture at this level. Once again I am nothing but lucky to have worked with these amazing people and I could not have been happier or more proud of how our group came together and what we put up as a design. Following the end of the PDC, we got to experience a permaculture party, which meant that each person would be presenting something. Presentations ranged from telling jokes to playing songs on blades of grass. There were acrobatic performances, dances, raps, and guided meditations. Overall, the feeling of joy, laughter, and community was overwhelming and it was the perfect culmination of the spirit that had developed over the weeks. Seeing how a large group of people from such diverse backgrounds could come together, present their talents without reservation, and experience such joy cemented in place the reality of what a permaculture society could be and gave me even more hope that if people like this do exist in the world, we actually have a chance; that the future, however bleak, just might be OK.
Coming back from the trip has led us to revisit our entire life here in the Philippines and discuss what we want for our future. Some of the decisions we have made are quite big and will have a profound effect on our projects and our life. I will talk more about this in future posts, but for now, I am just happy and grateful to have had such a life-changing experience and to have been able to meet and connect with so many amazing people that share the same goals and beliefs as me. To all those who made this experience what it was, thank you!